Which brow tribe are you? Brows are so now. We’re all emulating Cara’s thick brows or coveting Gigi’s perfect arches. But what you might not know, is that our fashionable ancestors knew the power that eyebrows hold to change your entire look, shape your face – and, most importantly, allow your own freedom of expression. That’s why we’ve enlisted the help of eminent brow guru and visionary Benefit Cosmetics Head Makeup Artist and Brow Expert Lisa Potter-Dixon to take us on a fast-paced journey through the most recent decades in brows – exploring their evolution. Watch how our five models travel through some of the coolest and most influential subcultures and scenes – all in pursuit of finding the right brow-spiration that can totally work for you. From feathery Studio 54-style brows through to the thinner, neater 90’s brows these defining looks are easy to recreate on your own brows – whatever their shape, size and colour. All you need are the tools, tricks and a little inspiration. 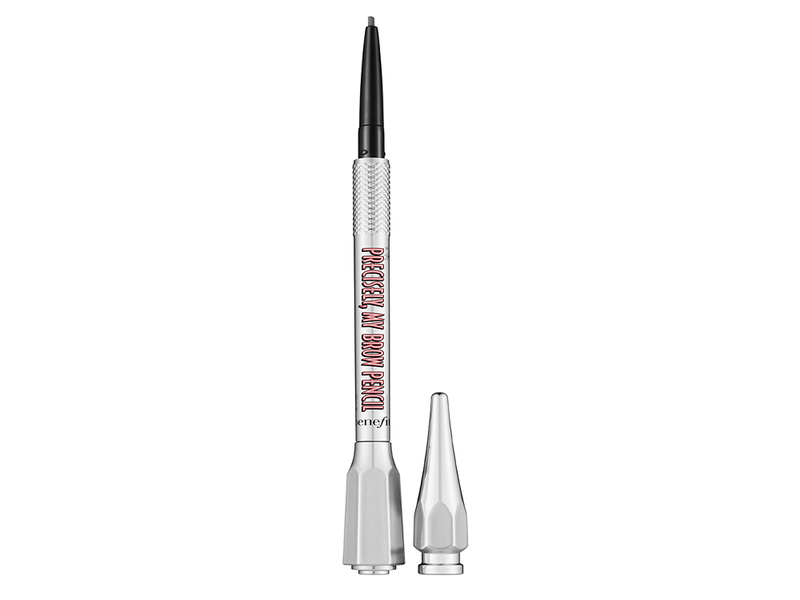 Step 1: If your brows are sparse start by filling in any gaps with Benefit Precisely My Brow Pencil, £18.50. It’s super easy to use. 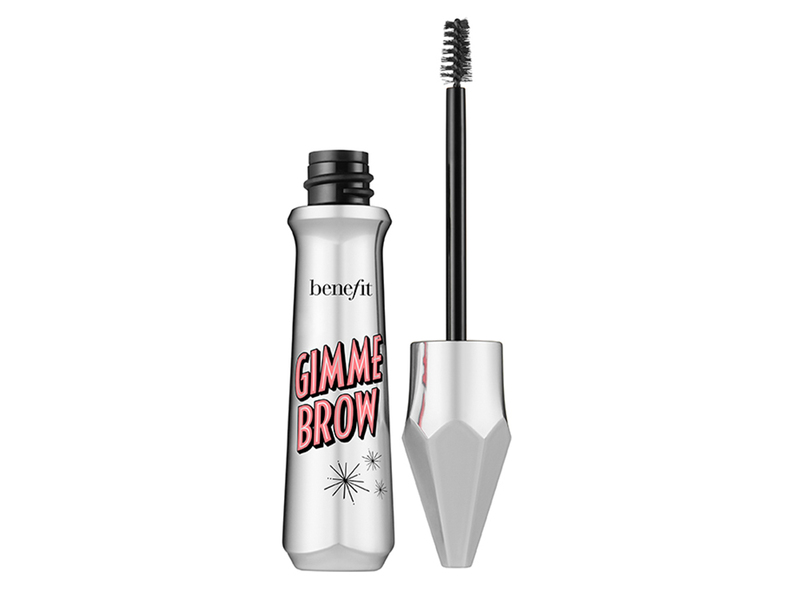 Step 2: Using Benefit Gimme Brow Volumizing Eyebrow Gel in shade 1, £18.50, brush away from the hair first then brush back the other way. 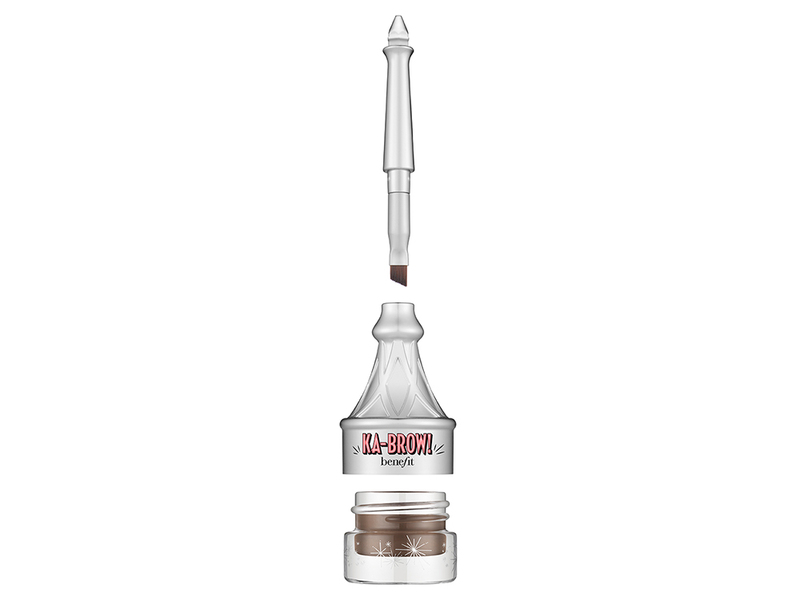 That ensures your brows are fully coated in microfibres within the product that give you thicker brows. Genius right? Brush from the smallest, tapered end of your brows, back to the thicker start of your brows. Step 3: Brush the front up slightly to give a soft, feathered look that’s all kinds of cool. THE LOOK: ‘The 80’s gave us the perfect combination of femininity and masculinity. The brows were a focal point to every look. And a strong, straight brow added a boyish drama that perfectly complimented the sportswear trend of this era,’ says Potter-Dixon. Step 1: Use Precisely, My Brow Pencil, £18.50, to stroke through the brow without making it too heavy but adding colour. Step 2: Draw underneath the arch with the pencil to straighten the brows out and lengthen them slightly too. Just by a few millimeters though! Step 3: Take the spoolie (the clean brow wand) on the other side of the pencil and brush through to make them look natural. 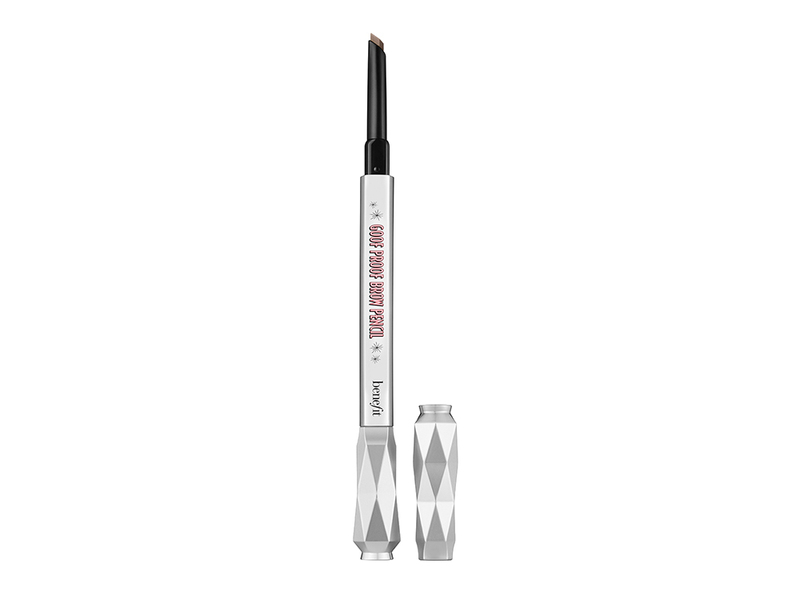 Step 4: To set the brows use Benefit Ready, Set, BROW!, £18.50 – a clear brow gel. Coat this through the brows and brush upwards creating a boyish finish. This keeps them in place all day so they’re totally party proof. Step 1: Using Precisely, My Brow Pencil, £18.50, stroke through the brows adding colour. Step 2: Lengthen the brows towards the end to widen the eye area. Step 3: Take the lid off the other end of your pencil and you have a spoolie. Use that to brush through your brows to soften the look slightly. THE LOOK: ‘The 00’s brow is one of my faves. They start arched and end in the perfect place, complimenting your face shape to perfection. This brow enhances your features, no matter of your face shape’ says Potter-Dixon. Step 1: Using Benefit Ka-BROW!, £18.50, a gel/cream formula, take a small amount and glide it through the brow focusing on the arch to widen your eyes and create lift in the eye area – who doesn’t want that! 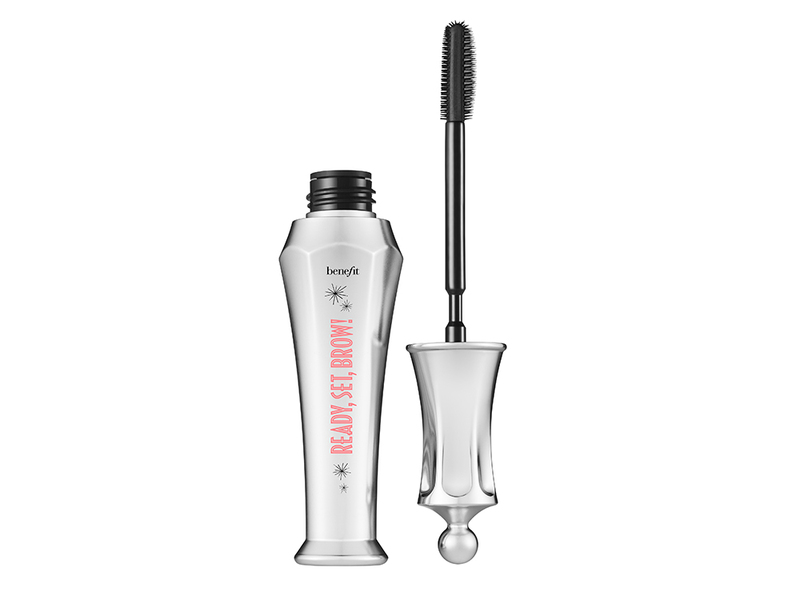 Step 2: Using Benefit Ready, Set, BROW!, £18.50, brush this clear gel through the brow to keep the hairs in place for an amazing 24 hours. Genius! Step 3: Brush up the brows at the front to give a tapered finish. THE LOOK: ‘The now-brow is powerful. Having a natural finish with a perfect arch acts like an instant eyelift. Darkening the brows slightly also instantly brightens the eyes,’ says Potter-Dixon. Step 1: Use the Benefit Goof Proof Eyebrow Pencil, £18.50. The diamond tip glides through the brow building the colour up until you have the right amount of definition. That means you can create precise strokes to mimic your actual brow hairs so it looks super natural. Step 2: Use the pencil to add extra definition on top of the eyebrow to create an arch and use it below to keep the structure too. Step 3: Turn over pencil to use the spoolie and brush through the brow to blend and soften the product to prevent the brow looking too heavy. Step 4: Use the Benefit Gimme Brow, £18.50. The microfibres will add volume to your brows and set them in place. Step 5: Brush brow hairs upwards throughout the whole brow to give a super edgy catwalk-inspired finish. Now where’s the party at? Look out for the free brand new Benefit Ready, Set, BROW! 24-Hour Invisible Brow Gel in August issue of Marie Claire. Worth £9, be the first to try!